Traditionally, Irish investors have acquired and held commercial property personally, rather than through companies. This has included cases where the investment property is used in a trade carried on by the investor’s private company. Typically in such cases the property is leased to the trading company under the terms of an occupational lease for a term of 20 years or more. In many cases the level of rent passing from the company to the property owner is well in excess of the current market rent for a similar property. This is especially likely where the occupational lease was entered into during the economic boom years and included upward only rent review provisions. 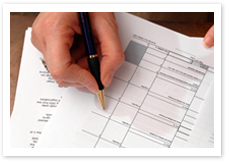 The property owner is subject to high rate income tax on rental income received from the company. The company is allowed to deduct the rental payments in arriving at taxable profits, but there is significant tax leakage as the company is most likely subject to tax at the low 12.5% rate. Rental income, after-taxes, is in most cases used entirely by the owner toward funding repayments on bank borrowings used to acquire the property. From the company’s perspective, an onerous lease obligation exists, whereby there is a legal obligation to pay rents in excess of the current market level. In some cases it may be commercially attractive for the company to agree a once-off capital payment to the landlord in consideration for the surrender of the lease. Typically the amount of the payment will be calculated based on the net present value of the onerous lease obligation for the remainder term of the lease. Once the lease has been surrendered in this manner the company is then free to negotiate new lease terms on the subject property. From a tax perspective, depending on the circumstances of the case the surrender payment may be received tax-free by the property owner. Accordingly a taxable stream of future rent is replaced by a tax-free capital sum. How can Tax Partners help? We would be pleased to review existing lease arrangements and advise on restructuring options. Please contact Brian, David or Mai for further information. Tax Partners offer current analysis of the tax issues facing business and private clients today. Dealing with Revenue in an efficient and effective manner is a key part of the day to day operation of business.